The Agilent 4100 Microwave Plasma-Atomic Emission Spectrometer is the most significant advancement in atomic spectroscopy in decades. It runs entirely on air, which means your lab can perform unattended multi-element analyses while eliminating flammable and expensive gases. But that's just the beginning. 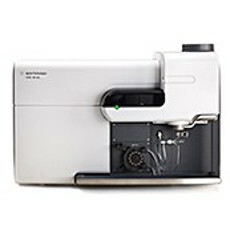 New and used Agilent Technologies 4100 MP-AES's for sale on LabX below. Find the ad listing you need and get price quotes from a variety fo vendors.